From the first time I saw this car, the 'strange' impression that appear in my mind and might be my fellows reader. The car strange look such as single cab with the back resembling a bath tub or whatever it is. 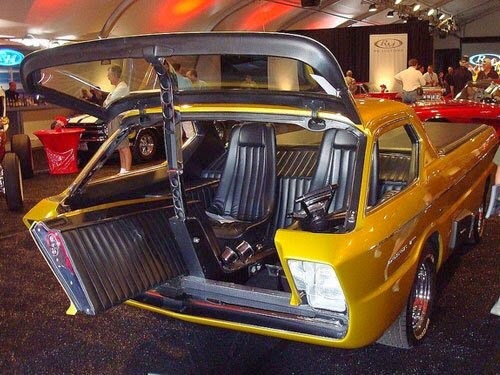 Here it is a Dodge Deora, the futuristic concept car that circulated in the late 1960s to the 1970s. 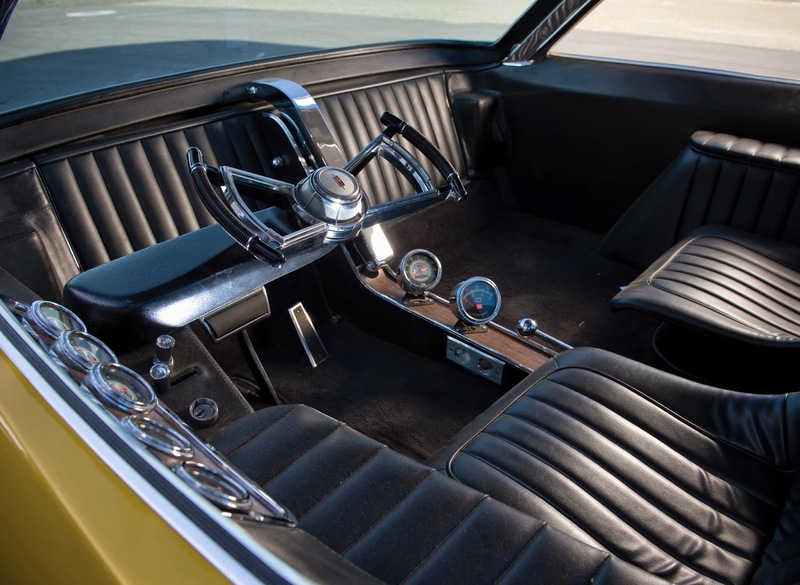 The car was designed by Mike and Larry Alexander, and was good enough to win the Ridler Award at the 1967 Autorama. Try to note the unique shape of the car's steering wheel. Perhaps somewhat reminiscent us to the steering wheel of F1 car. The steering wheel lies on a swingarm so it could be moved out of the way during entry and exit. On the left of the steering wheel there are several indicators, such as the alternator, fuel indicator and temperature. Uniquely, the door to get into the cabin is on the front of this car. So drivers and passengers got in by lifting the front hatch, which was taken from the back of a 1960 station wagon. With a distinctive design, classic yet progressive, this car clearly illustrates how the community of automotive enthusiasts in the past wanted futuristic car models. So it looks once how the shape of their tastes in the 1960s.